Discussion in 'Femmes' started by papa_levante, Oct 30, 2008. Belarussian Alina Isachenka is so fresh. Her whimsical and fragile blonde beauty - which reminds us of a young Kirsty Hume - is all too evident in these first polaroids taken by agency President Model Management just yesterday. We at O2W would like to be the first to welcome Alina to our world! View more info on Alina’s profile. She's fab. 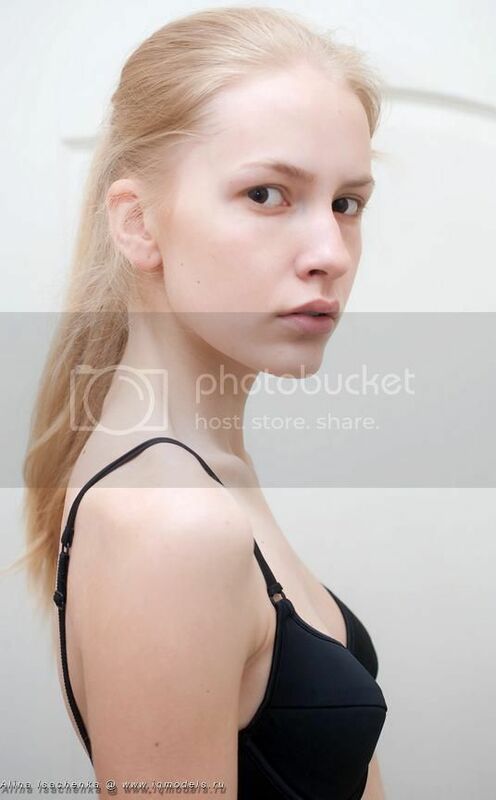 She's got a strong, versataile look and a lot of presence, I think she has what it takes. She is fabulous! love her blonde hair and strong features! ugh IQ manages their models awfully - they end up in print and bubble pop work . She has good face. Gorgeous! But, like Nochoporenka said, IQ is not the best management. I feel like Alina opens her eyes too much sometimes. Though when she gets it right, it's breathtaking. ^i disagree IQ is one of the best agencies in Russia, they have a quite small board of girls but they have good models & 4 topmodels. IDK about Russia but IQ models in America is garbage. You can't compare an agency of Russia to an agency in NY, there's no possible comparison, fashion in NY is totally different than in Moscow. Major agencies are placed in the fashion cities ... that are NY, Paris, LDN & Milan. Apart of the major agencies of these cities, the other agencies all over the world are all much weaker than them, most of them don't have half of the good models they have. They surely are one of best in Russia. I absolutely love this blonde hair and brown eyes combination! 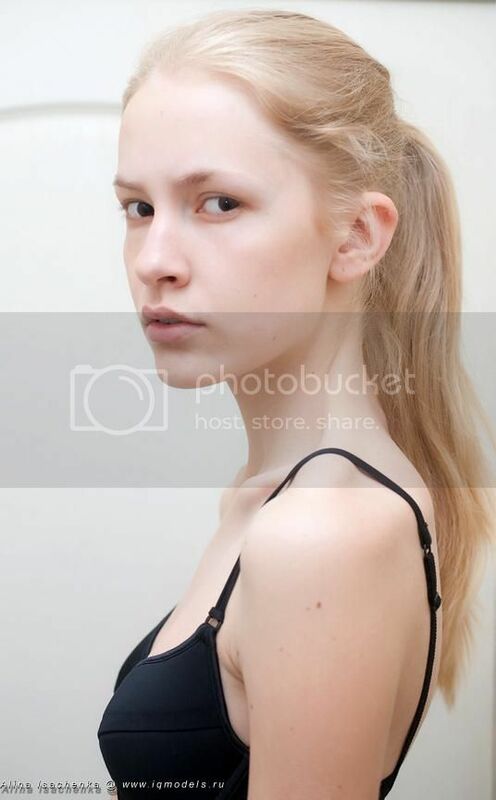 She has little Natasha Poly vibe in her esp in 8th pic of post #3! I like her! I agree, her coloring is awesome eyes/hair with that porcelain skin She should go far. ^not necessarily, each person has a different body structure. 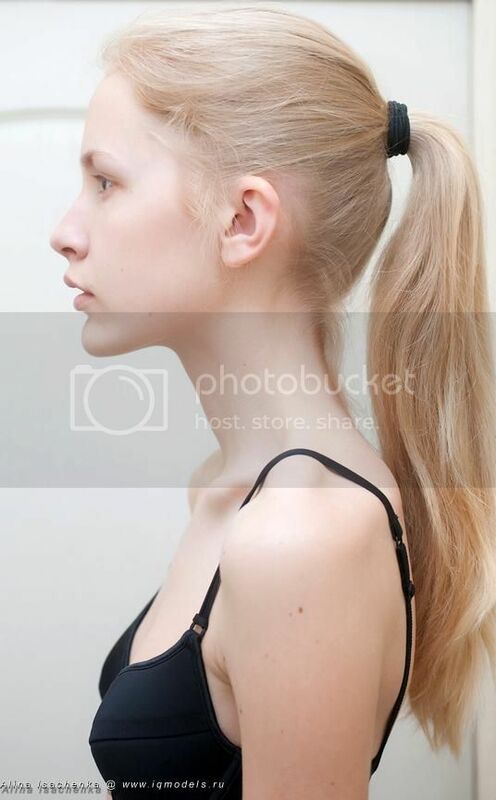 that's why some models have more salient cheek bones than others & they are just as slim as the others. Each person is built differently. Those shots are very nice, I like the styling, Isachecka's looking very girly, feminine.